Every year Kula Collective gathers in Peru to hold a series of offerings in celebration of our Great Mother Earth... Pachamama! Offerings may include cleanses, retreats, yoga trainings, festivals, hikes, song circles and more. The schedule of this year's lineup is below. Come join us in celebration of Peru! PeruKula! begins in the mountainous sacred valley of Peru. You are invited to come together to pray, purify, sing, dance and celebrate the blessing of this life! Together we will cast a circle of unconditional love, where all is welcome, where as equals we hold sacred space to fully feel and experience the authentic nature of our Spirits. Allowing sacred song, sound healing and powerful Icaros of the jungle to play through us as we learn the magical power of sound and vibration as a path into Self. We have the opportunity to release layers of illusion that limit us and reclaim our original innocence so that we may embody our divinity, experience, true freedom, true unity, shine in our fullest potential, & step more powerfully onto our path of service with joy! 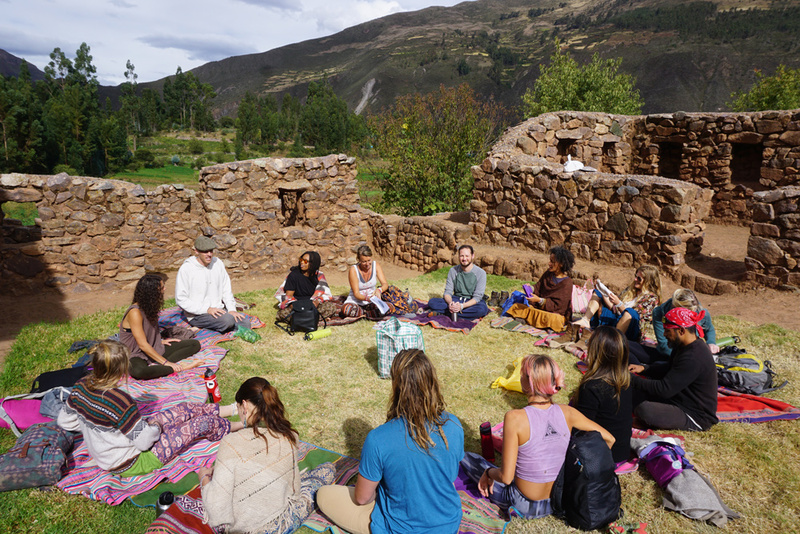 After the medicine and sound retreat, we will move up river where we will hold simultaneous 200hr and 300hr Yoga Teacher Trainings in the magical Sacred Valley of Peru! By hosting both trainings at the same time we will be able to have the entire Kula tribe on hand to support this event, which means more teachers, more diverse lessons, more musicians, more of everything! Please visit our PeruKula200 & PeruKula300 pages to learn more. Our time in Peru concludes with a 5-day intensive learning how to expand in our creative facilitation. At Kula Collective we believe in You. We’d like to support your growth into an even more creative and effective facilitator. This is why we are inviting you to join us for this intensive hands on experience that will re-inspire your leadership and re-kindle your confidence. Come learn to learn, and practice facilitating others to do the same.